There are no major economic reports being released in the UK therefore eyes will be on global macroeconomic events. 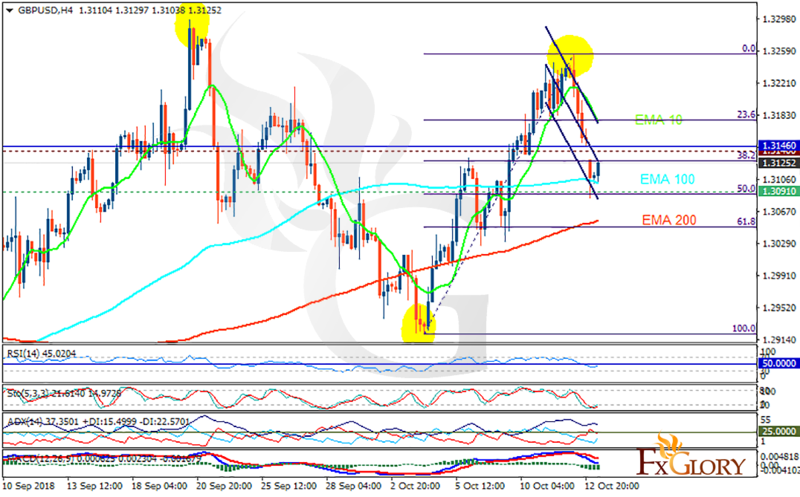 The support rests at 1.30910 with resistance at 1.31400 which both lines are below the weekly pivot point at 1.31460. The EMA of 10 is moving with bearish bias in the descendant channel and it is above the EMA of 100 and the EMA of 200. The RSI is rising towards the 50 level, the Stochastic is moving in low ranges and the MACD line is below the signal line in the negative territory. The ADX is showing weak sell signal. The resistance level breakout will push the price up towards 1.32, otherwise the price will continue its correction pattern towards 61.8 level of Fibonacci at 1.304.